State Farm Insurance Balloon. Albuquerque Balloon Fiesta, New Mexico. 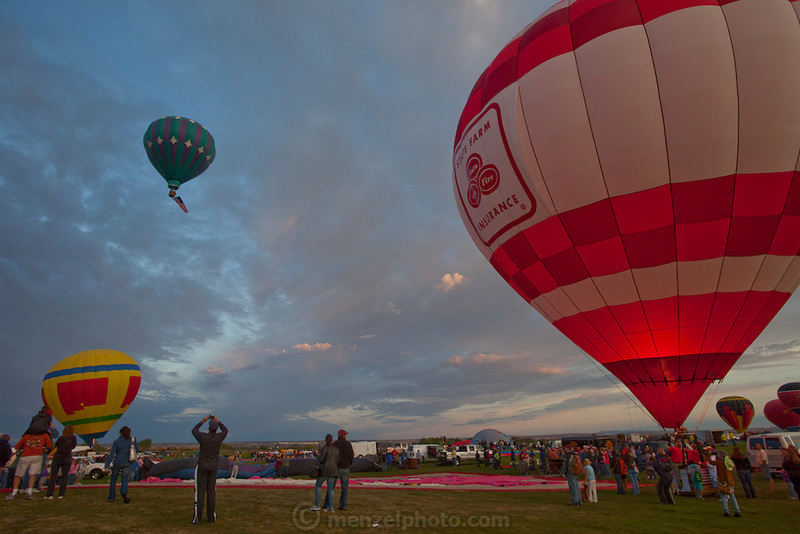 Mass assencion on Sunday morning at dawn of 500 hot air balloons.